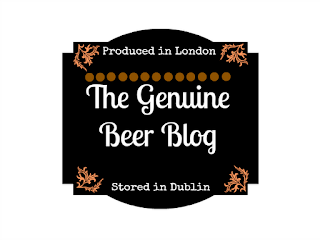 The Genuine Beer Blog: Lets Create A Beer Blog Community !!! Once you have filled in the details required, it will add your blog onto the post, allowing other people to come along and click on your blog and check it out. You can also become a follower of the Genuine Beer Blog by clicking the Button on the right hand sidebar. It would be really good if we could get as many Beer Bloggers or any bloggers that would like to be apart of this on here adding their blogs and then if we get a good showing I will integrate these onto the blog permanently. I think this would be a great way to get a community going, but also to keep up to date with each others blogs.